Sikkim, located in the eastern, Himalaya, sits between Nepal and Bhutan, while to the north lies eastern Tibet.Sikkim is a mountainous kingdom, well known for providing stunning views of Kanchenjunga (8598m), the world’s third highest mountain which straddles the border with Nepal. It is also a land rich in flora and fauna and has diverse ethnic mix eighth rich cultural traditions. The people are predominantly Buddhists and there are many active monasteries where traditional and ancient rituals are practiced in an atmosphere of peace and serenity. Our trek start from Yaksom (1770m), the trail climbs through dense semi tropical forests, before changing to rhododendron, pine, azalea, and giant oak. The trekking is not difficult and follows delightful trails. 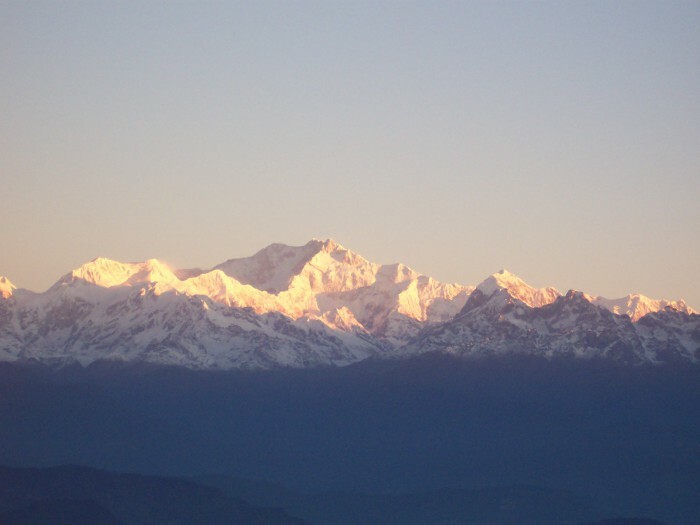 Spectacular views of Kachenjunga, pandim and other peaks of the Singalila ridge, separating Sillim from Nepal are visible for the entire trek. On our return, we trek back to Yuksom and visit Gangtok, Sikkim's hilltop capital and stay two delightful and relaxing nights among the tea gardens in kalimpong before the flight back to Delhi.